SMALLRIG 15mm Rod Clamp with Shoe Mount 1597 enables an access to attach accessories to your DSLR cameras. It meets your demand for transferring the function of shoe mount to rod clamp. 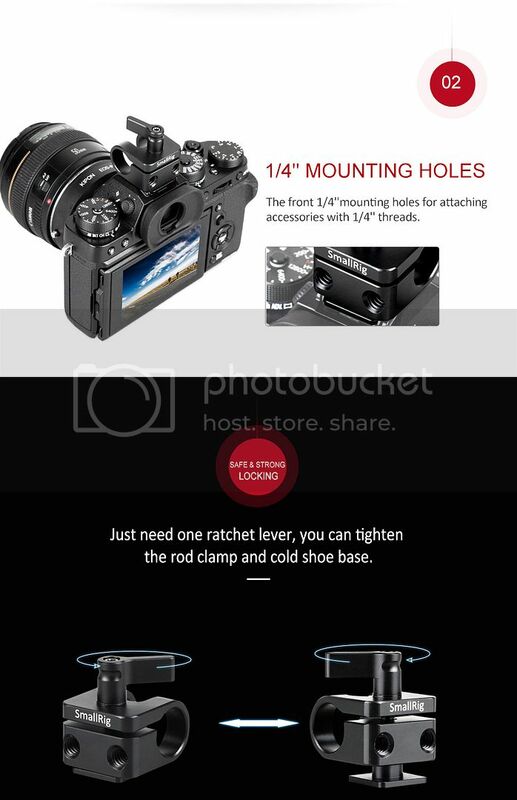 With one 15mm rod, you can attach monitor, EVF and other accessories. One locking ratchet lever makes it secure to tighten the rod clamp and cold shoe mount. The body of the rod clamp comes with two 1/4’’ thread holes for attaching additional accessories.